It was a pleasant day with sunshine and snow showers. 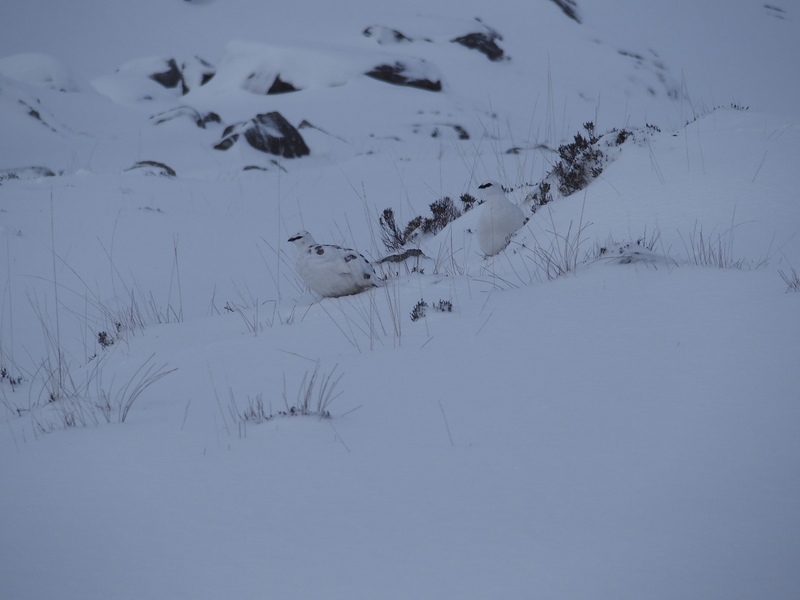 Since the warm and wet weather that we had on Saturday it has been cold and there has been a good amount of snow. 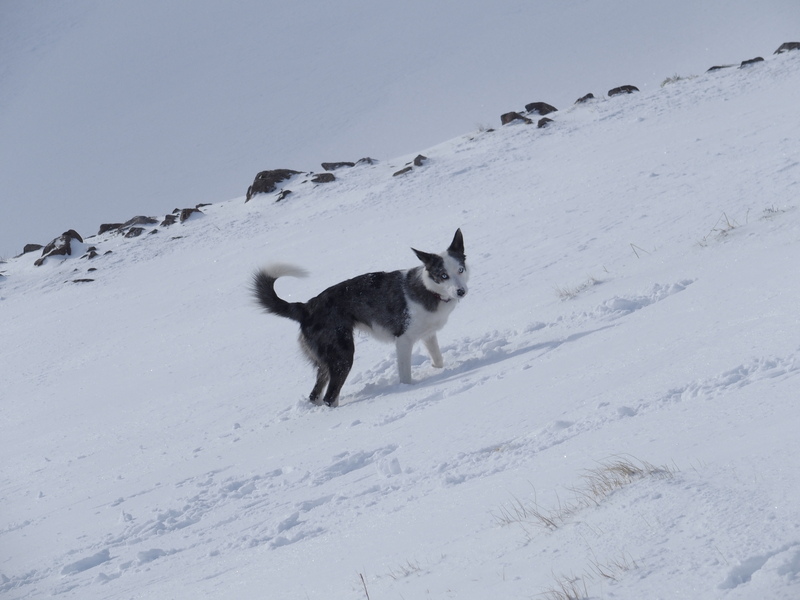 High up this snow has been distributed by the wind which was Northerly on Sunday and South-Westerly yesterday and today. Lower down where it has been less windy there is soft snow on most aspects. Trail breaking has been hard work. 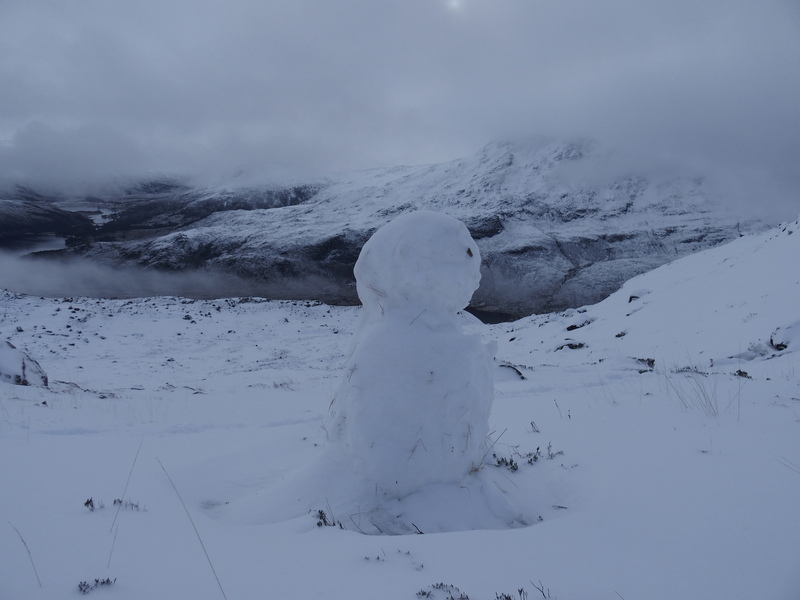 In many places the deepest snow is on the path and heading into Coire an Laoigh on Beinn Eighe today I gave up trying to follow it at around 300 metres. 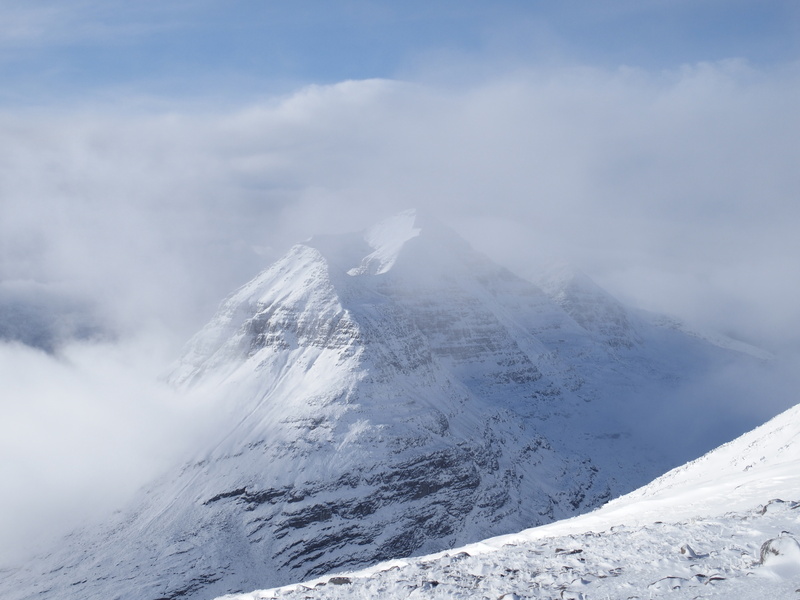 Beinn Eighe from the West. 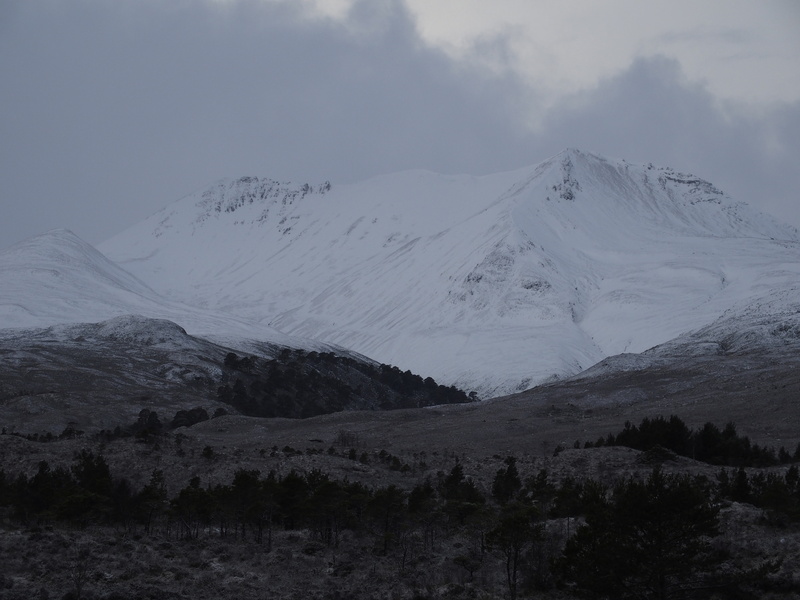 Sugar nan Fhir Duibhe is on the left with Creag Dubh on the right. 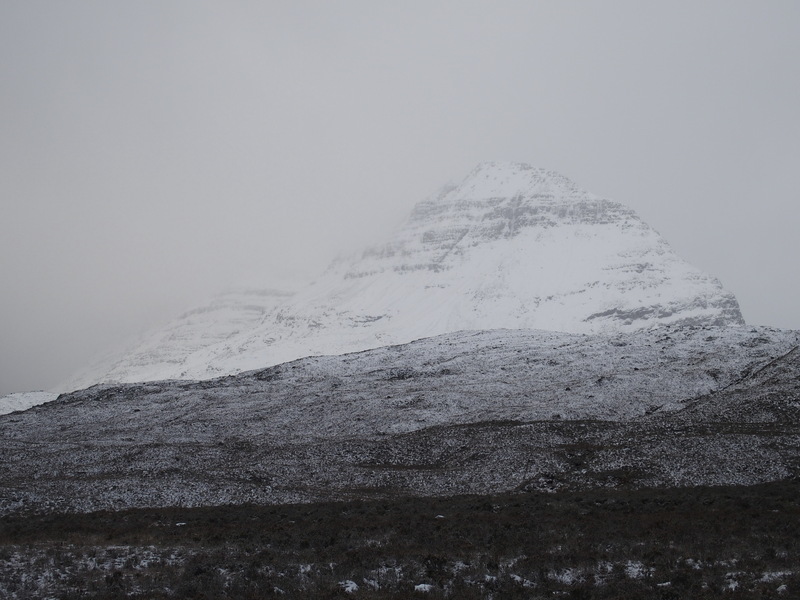 A snow shower approaching Liathach this morning. Four legs were better for progress than two. 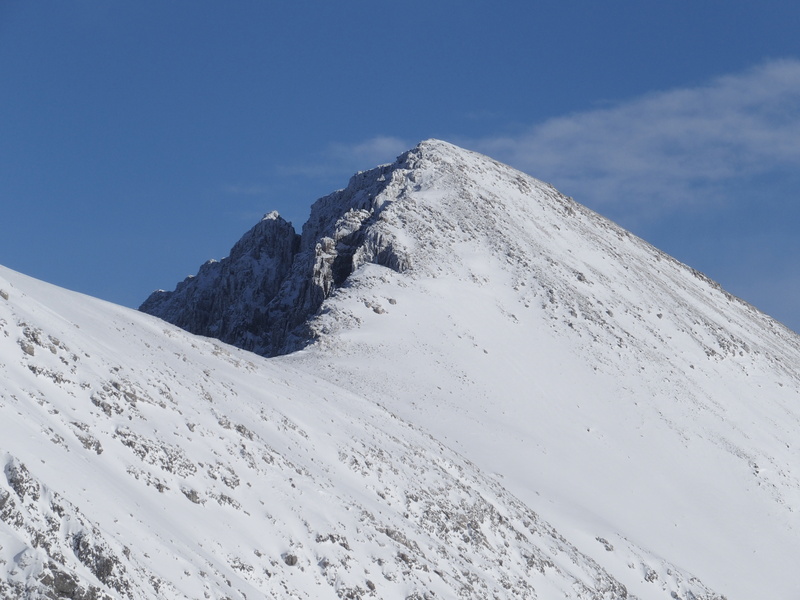 The South ridge of Spidean Coire nan Clach. The West (left) side is scoured while the East (right) side has accumulated plenty snow. 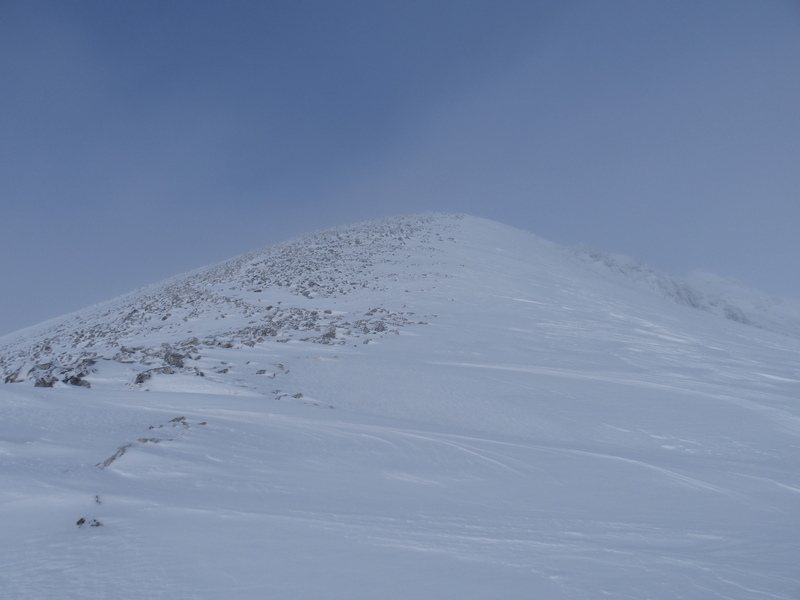 Snow and cornice build up round the rim of Coire an Laoigh. 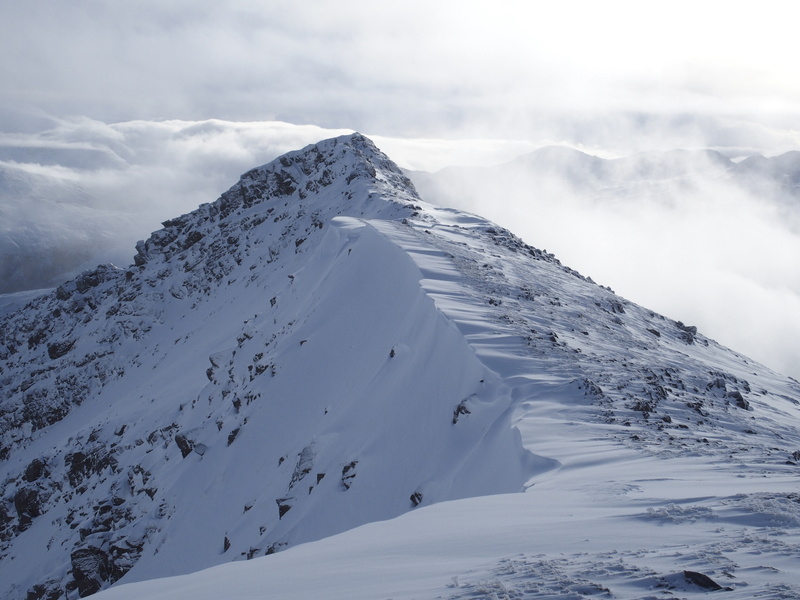 Sgurr nan Fhir Duibhe and the Black Carls.